Guest post by the Sisters of Slaughter! 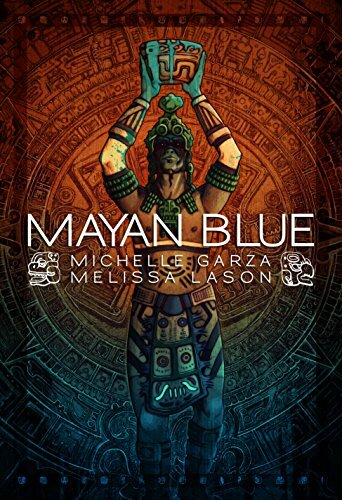 Today, the Sisters of Slaughter, Michelle Garza and Melissa Lason have hijacked my blog to talk about how they write together. 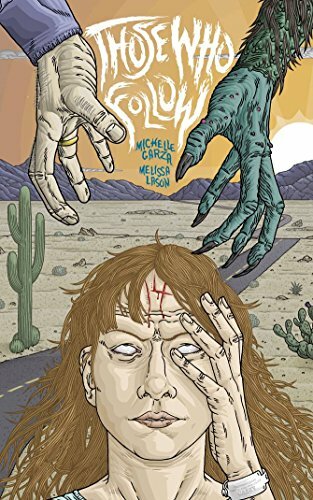 Their latest novel, Those Who Follow, is out now from Bloodshot Books. Take it away ladies! My name is Michelle Garza and I write with Melissa Lason. We are known as The Sisters of Slaughter. We are a twin sister writing team from the deserts of Arizona. We have written together ever since we were little girls and the love of stepping into imagined worlds has never left us. We usually write horror but also dabble in science fiction, fantasy and bizarro. All of our writing has a healthy dose of darkness in it, kinda like sneaking our love of horror into everything. Writing for us is a continuation of playing pretend as kids, it’s an escape we get to participate in and also give to other people, a glimpse into our imaginations. Storytelling has always been something really sacred to us because some of our fondest memories come from our father telling ghost stories around a campfire and we hope to capture that magic and share it with other people. We get asked about our collaborative writing process quite often. It comes naturally to us because we’re twin sisters, for writers who usually work alone it can be tough but it’s not out of the question. We find that when we come to the writing table we do so with open minds but we are also both focused on a storyline we wish to create. We are both outline warriors which means we have an idea of how the story will play out from the beginning to the end whether we’re sitting in the same room or not. I think, to us, writing without an outline would be more foreign than collaboration but those of like minds could pull off a joint effort without an outline if both writers were down for some surprises and could continue the story no matter what their partner threw at them… which actually sounds like a fun challenge that Melissa and I may explore. Collaboration can also be achieved by simply sharing a world or scenario but writing your own small stories that can connect but again there can’t be differences in important details that could totally derail someone’s reading experience if they aren’t caught and rectified before publication. Our process always begins with story ideas, we keep them written in notebooks and saved in files on our desktops for future use. We will discuss what kind of projects we really want to tackle, some of them are submission calls we wish to attempt while others are projects we have promised to a publisher. Once we zero-in on the story idea that feels right for our next project we begin to build a skeleton of it through outlining it on a sheet of paper. During the actual writing is when it is fleshed out and sometimes even changed if we agree that there is a better way of propelling the storyline. A ton of our writing is done by hand first, it’s a long process but we use that as our first rough draft. Next we type it and the typed version is the second draft because there are always things we change, expand upon and even cut out or only elude to until further in the book in an attempt to not give everything away too early. We like to write a few chapters and then read it out loud to each other to see how everything flows. This can be accomplished even if collaborators live far away through the magic of the internet, using Skype and even just a phone call keeps writers up to speed and gives them a chance to hear the story spoken from the mouth to the ear to be certain the story is building into something people will care to read. We divvy up the workload sometimes when we are too busy to actually see each other or call one another like over holidays or weekends when our writing can only be done after family responsibilities are done. Using an outline is helpful here; we know where the story is going so if we are separate we can still get good word counts without worry about getting the storyline disjointed or going off the tracks completely. Once the entire story is done and completely typed is when we go back and read it again to each other, the third time around is where we’re really looking for anything in the story that isn’t too our liking. It is edited after that, our editing isn’t the greatest but since we found the Grammarly program our manuscripts have become tighter and neater. All that’s left after that is submitting the work and keeping our fingers crossed. This may sound like a good system to some or it might sound too time-consuming to others but the point of this article is to remind people that whenever a writer wants to team up with someone they must consider these things. 1. Go into the project with an open mind. Collaborating is a joint effort and opinions should be given equal importance, and the rejection of ideas isn’t personal. 2. Each person involved must be willing to carry their own weight. It takes equal dedication to get it done. 3. If you aren’t working from an outline or a general idea as to how the story will flow all the way to the end, be ready for compromise and surprises. 4. If your collaboration is more of a shared concept and both stories tie into each other then you can’t forget to be certain those storylines still jive and important details don’t contradict each other, say for instance my character’s father lost his legs in Vietnam and then Melissa comes along and writes that same character running into a burning building to save someone etc. Collaboration can either be the beginning of something really great since two heads are better than one or it could turn into a big mess so choose your partner carefully. If you happen to be teamed up with someone you don’t really know through a publisher to create something just remember that professionalism and dedication goes a long way. Now get your asses back to writing!! !